Portable toilet hire might be the last thing on your list when you are setting up an event or organising the logistics on a building site. Really, though, it should be one of your prime considerations! 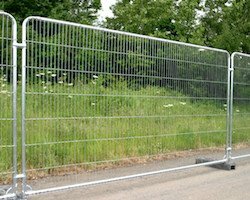 After all, the comfort and safety of people on-site, whether they are celebrating at a music festival or wedding or working on a large-scale construction project, is of paramount importance. This article looks at the issues involved, including regulations and best practice recommendations when it comes to providing washroom facilities. 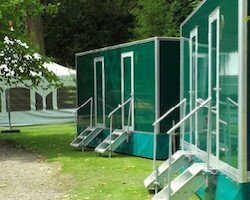 It also offers guidance on choosing the best service for portable toilet hire London and beyond. For a building site, the relevant information on general duties for the provision of welfare facilities is laid out in the Construction (Design and Management) Regulations 2007. The Health and Safety Executive has produced a comprehensive leaflet covering all relevant aspects, including the minimum standards required. 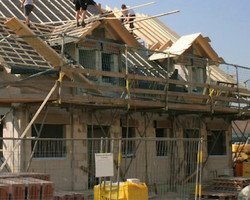 However, in summary, work should not commence on any building or demolition site until adequate welfare facilities are in place. Planning should take into consideration the type of work being carried out on-site, and how close the toilets will be sited to the work area. Also important is how long the project will take, the numbers of individuals who will use the facilities, and how the facilities will be cleaned and maintained. In terms of portable toilet hire, flushing toilets and mains water should be provided where practical. Where not practicable, then portable chemical toilets are an option. These must be ventilated and kept well-maintained. In other words, they must be cleaned as often as they need to be in order to be kept hygienic. When you are considering where to hire portable toilets, therefore, you’ll need to know how many workers will be on-site, as this will determine the number needed and the frequency with which the units will need to be emptied. As a general guide, British Safety Standard BS6465-1:2006 recommends one toilet for every seven workers, with the portable loos being emptied once a week. Ensure when you’re researching where to rent portable toilets that you choose a company that works with the construction industry and they will be able to advise on your requirements. 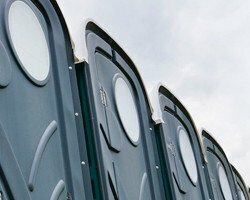 Portable toilet rental is also important if you’re running outdoor events like music festivals to which members of the public will be admitted. Washroom facilities are often provided for guests at outdoor wedding receptions, for instance. At a private party, there are no applicable legal requirements, but for commercially-run events, the organiser still has a duty to observe health and safety regulations. 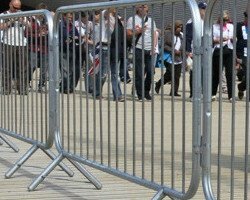 The Events Industry Forum has produced a guide to welfare, health and safety at outdoor events, known in the industry as the Purple Guide. One of its most important factors is the provision of toilets for guests. The recommendations in the Purple Guide go beyond the requirements of the law, but are nonetheless worth adhering to. After all, there are practical and reputational issues to consider. Firstly, you want to ensure that visitors have access to adequate and sufficient numbers of toilets for health, safety and welfare reasons, to avoid unhygienic mess on-site. Secondly, you don’t want your event to be spoiled and your reputation as an events organiser to be damaged by guests posting angry complaints on social media! So what are the guidelines for numbers of toilets required? Here, you should take into account how long the event will last, how many attendees will come, and whether alcohol and food will be served. For instance, for an event running longer than six hours, with food and drink served, there should be one portable unit for every 75 women, one for every 400 men, and an additional urinal for every 100 men. Some provision for handicap portable toilet rental is also recommended. That all might sound quite confusing, especially if this is the first time you have either managed a building site or organised a large-scale event. Don’t worry, though: if you find the right portable toilet rental service, they will be only too pleased to help you calculate your requirements. But how do you ensure the firm you’re choosing is the best one for the job? First, do your research, as you would when hiring any service or equipment. Look on the Internet for a company offering a service dedicated to portable toilet hire. Choose a provider that has demonstrable experience in handling situations of your type, whether that’s toilets for construction sites or luxury toilets for special events, or for large-scale events or small-scale private family parties. That way, you can be more certain that they know their business and are equipped to offer you the right advice. Ensure the firm you’re thinking of going with is large enough to have the resources to meet your needs, especially if you’re hiring in periods of high demand such as summer. You don’t want to be let down on the day because the company is too busy or has insufficient facilities for your event. Check they can cater to any specialist requirements, such as disabled toilets and baby changing facilities. And finally, read reviews from independent sources. The experiences of past clients can inform you on the level and quality of the firm’s service. One company that offers a top quality service for any type of client is Local Toilet Hire Ltd.
At Local Toilet Hire Ltd, we stand out above other portable toilet hire services because we operate nationwide, but use local providers to fulfil customer orders. Rest assured, we’ll always have what you need for your event or building site. You’ll find our prices are highly competitive too. As well as toilet facilities for every type of situation, we undertake the cleaning and maintenance too. Check out positive reviews from satisfied customers on Trustpilot, the independent review community, and then view our website at https://www.localtoilethire.co.uk to see the range of services on offer. Quotes are free of charge, so if you need portable loos for whatever reason, call us on 01903 680900 or contact us via email at info@localtoilethire.co.uk. We won’t let you down!